I was watching this week’s most recent episode of the FX TV show, The League, about a group of friends in a fantasy football league. The show’s naïve, somewhat goofy character, Andre, professed himself a “dating chameleon” – that is, whatever his girlfriend likes, he becomes. 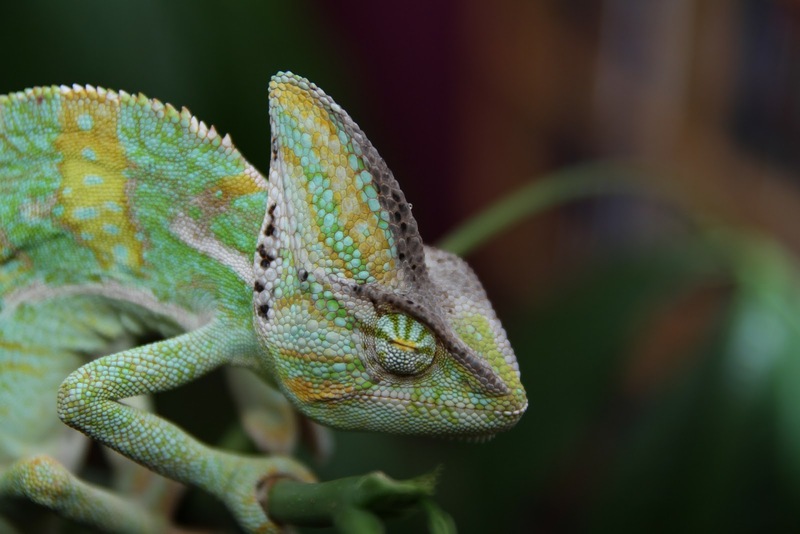 This made me think about how we all must become “chameleons” at times, adapting to the likes – or perhaps needs – of the people and environment around us. In addition to being a business lawyer, I became a business owner in 2011, and I had to learn to be a chameleon and take on all kinds of roles that were new to me. My business is retail – a saddle shop and equestrian sporting goods store – with some side services such as horse blanket repair and saddle fitting. I love chatting with customers, going to market to pick new products for the store, and hosting big sales events. But owning a business is so much more! My favorite motto that first year was, “Well, they didn’t teach this in law school!” I became a handyman, changing light ballasts and replacing parts in our industrial washing machine while watching an instructional YouTube video. I learned the ins and outs of marketing, designing Constant Contact email campaigns and preparing ads for print and social media. I went through a DOT exam and began hauling our mobile unit to events. I developed interviewing skills, found myself with a staff to manage, spent hours staring at QuickBooks™, and tried to decipher complex point of sale reports that would help me make educated buying decisions. And I bought an industrial sewing machine, which might as well have been a time machine for all I knew about it. This all worked fine…for a while. But gradually, I realized that adding an in-house bookkeeper would make invoicing and payroll go much more smoothly (and take that headache off my plate!). Calling an electrician seemed an obvious move after I shocked myself trying to remove an exit sign. I brought in a trailer manager (with a DOT card) to handle the mobile unit, and an expert seamstress to operate our industrial sewing machine. And yes, I have an appliance repair company handle the washer repairs now. For those with an entrepreneurial spirit, it can be especially tempting to jump headfirst into each new challenge because, frankly, there’s not a lot that scares them. And truly, most entrepreneurs make great chameleons! But the bigger test comes when the same entrepreneurs need to define their limits and learn to hand over the reins (pardon my pun). Adapt, yes! Challenge yourself, yes! But be careful not to electrocute yourself in the process! Focus on the things you do well and should be handling in your role, and find the right experts to handle the rest. Well done! So glad you have found how to make life work for you (not that your life is always smooth sailing, I'm sure). It seems to be a common challenge amongst female attorneys looking to "have it all." So familiar - not unlike becoming farm owners!! We have to figure out which projects we can realistically handle and which ones we need to hire out. There's a fine line between saving money on DIY stuff and saving your sanity!! By having a firm grasp of what your employees have to accomplish and deal with on a daily basis, you have the best tools to lead! So true! It's all about delegating. I think it's so easy to get caught up in the "I'll just do it myself" mentality, or we feel like we need to prove something. But I think it also takes humility to find others to share their talents so we can focus on the rest of our responsibilities and not become burned out. Well said! As a fellow business owner, i find myself also wearing many hats, to get the job done that needs to be done. Much is to be said about the entrepreneurial spirit in starting a business in what can sometimes be a challenging industry. Even at 35, I still sometimes feel like I'm straight out of high school, struggling to learn yet another challenging facet to owning and running a business. I agree completely that it pays to bring in the experts, and what a relief it is when that day comes when we can finally afford to! One of the hardest things to learn to do, is ask for help. I think it takes that "I can do it all" to really nail down where your time and energy is best spent and really apply that thought. It takes a lot to financial pay someone to do something you "can do", but isn't the best option. Nicely written and something to think about!